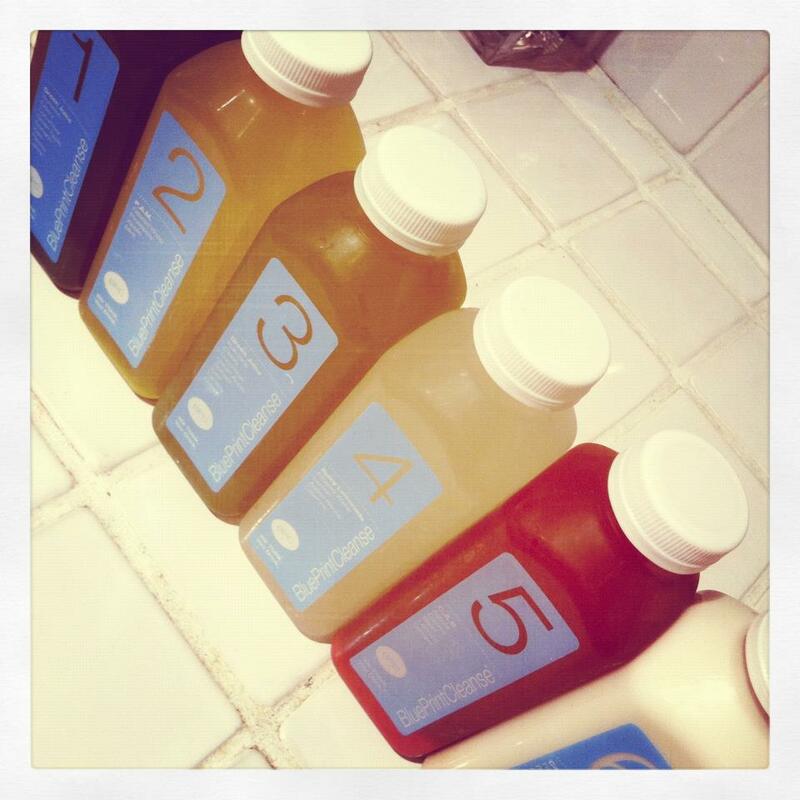 The six juices of the Renovation Blue Print Cleanse. Yes, I did a cleanse. No, I did not die of hunger. I wouldn’t really consider myself “trendy.” I haven’t planned next spring’s wardrobe based on what was projected at this fall’s Fashion Week. I’m not going to dye my hair red because red hair is so “in” right now. I’m not going to name my children things like Absynthe, Asher, or Apple. I didn’t become a hipster when I moved to California. Ok, so I have a feather in my hair. Sue me. Cleanses are super trendy. Maybe it’s just because I live in L.A.– which is equal parts Hippieville and Plastictown, USA– but I feel like everyone is constantly searching for the NEWEST and most INNOVATIVE way to DETOX YOUR BODY COMPLETELY because this one REALLY WORKS. Until I did the Blue Print Cleanse, I was pretty indifferent to cleansing. I’ve never felt like I needed to do a juice cleanse. 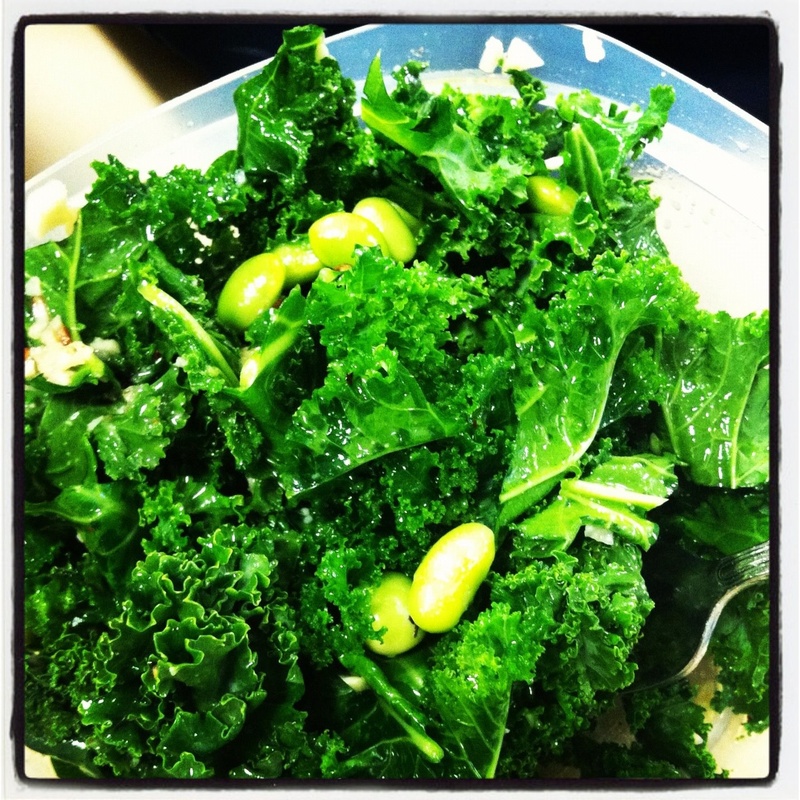 I’m a healthy eater (ignore my ravenous sweet tooth for a second)– so do I need to cleanse? If I already detox once a week and work out every day, what am I going to get out of this cleanse? What good is it going to do me to drink only fruit and vegetable juices for three days straight? Are the juices going to taste good? Will I pass out from lack of food? These are the deep and philosophical questions that ran through my brain while contemplating this cleanse. Molly and I had been chatting about this cleanse for a while and wanted to do it at the same time (but from afar) so we could support each other. Our favorite-bloggers-turned-bffs Joy and Tracy had done the BPC and liked it a lot. I value their opinions and took this as a good sign. The week we came back from HomefriesU, Joy and Tracy announced on their blogs that Blue Print was having a ONE DAY, 20% discount on cleanses with a special promo code on their blogs. The discount was a huge incentive, so Molly and I jumped at the chance and each ordered the 3-day cleanse! Day 1: I was a bit nervous to start, mostly because Molly, who had started two days before me, had said that the green juice did’t taste good to her. Uh oh. That wasn’t a good sign, and I knew I had to drink two of them each day. I like romaine, celery, cucumber, green apple, spinach, kale, parsley, and lemon as separate entities or in a salad together, but juiced? For breakfast? Don’t these people know how I feel about the most important meal of the day? The green juice wasn’t terrible and day one wasn’t bad, actually. I was too busy at work to really think about it, so it didn’t really faze me. I enjoyed tasting each juice for the first time, and could really taste each ingredient in each of the juices. The flavors were clean and fresh and great combinations (with the exception of the carrot-apple-ginger-beet nonsense). Day 2: I woke up feeling great– I even woke up before my alarm. But other than that, day two was rough. The day just seemed to dragggggggggggg on. I looked out the window on our floor and noticed how sunny it was — quite the phenomenon after the past two miserable, grey weeks we’ve had. Then I looked at my clock. It was 10:33. Had I only been at work for 2.5 hours? Was the day ever going to end? I focused on my proposals, read some articles, and drank tons and tons of green tea to help keep my mind off of the fact that I was still only consuming liquid and couldn’t have real food until Friday. Luckily, day two also included the ever-elusive weekday yoga class. I was able to leave work on time to get to my class, even though I debated about it for about an hour beforehand. Here’s the thing: yoga is always a good choice. Always. Even when I don’t want to go and force myself to get up early on Saturday mornings, I’m always thankful that I went to class. Wednesday night’s class was no exception. In fact, it was the greatest class I’ve had in a long time, both physically and mentally. Joseph, the instructor, is this super muscular, tatted-up, ex-dancer and spin instructor who wears t-shirts and a backwards hat to class but sits down in lotus and talks to us about what the universe is doing on this particular day in this particular season. I don’t know if it was the juices or what, but everything in my body just clicked. I learned new things, I went deeply into each pose, and I did some pretty powerful handstands (nevermind the fact that every muscle in my body was sore the next day). The moral of this digression: juice + yoga = a beautiful combination of cleanses. Day 3: Last day! Day three went by quickly. I was busy in the morning, and had a lot of energy that carried me through until about 2pm. Then a migraine set in and that was zero fun. But I was done! Hallelujah! I was super proud of myself for finishing strong. – Unlike Molly, I liked doing the cleanse during the week. I had so much going on that required me to be chained to my desk the entire week, it was easier to just have a juice sitting at my desk to pick up and put down when I pleased. – I was totally energized the whole time. While the second day was a drag because it was a long day (and it was Wednesday), I wasn’t exhausted and didn’t feel like I was falling asleep at my desk. It probably also helped that I got 8 hours of sleep every night while cleansing. – Beets, no matter in what form they come, taste like dirt. Every time. Even if they’re masked by carrots, apples, ginger and lemon. – Cashews can be turned into cream or milk and incorporated into almost anything. You’d hardly ever know you were eating/drinking something vegan. I put cashew cream in a soup last week. The cashew milk with vanilla bean, cinnamon and agave was my favorite– I want to make it on my own. – When you’re done juicing, it’s a total sensory overload. Watermelon was my first meal post-cleanse, and it was so sweet! Not overly so, but I was hyper-aware of the texture and taste and color. While making salad dressing for lunch, I sliced into a clove of garlic and was nearly knocked over by the smell– it was so potent. – I really do feel cleansed. I feel lighter and my insides feel like they’ve been completely purified– it’s a strange sensation. The cleanse wasn’t that difficult, but I definitely had some moments when I thought I wasn’t going to make it through the whole thing. If you’re thinking about doing a cleanse, I say go for it! It was a challenging, eye-opening experience. But make sure you plan it out, including pre-cleansing and post-cleansing. If you’re one to devour a Double Double, fries, and a chocolate shake from In & Out Burger on a daily or even weekly basis, you’d probably have a harder time with the Blue Print Cleanse than I did. I’m glad I can say I’ve done it, yet I’m not dying to do it again…at least not right now. Plus, I’m finished with anything remotely resembling beets for the rest of my life. Funny Kels and enjoyable reading…I could feel and taste your experience, deliciously narrated.